This year, for K’s 7th birthday, our family (our entire co-parenting family, that is) decided to tackle a new step in our co-parenting journey – our first joint birthday party! K opted for an Atomically Awesome science-themed birthday party, and mom and stepmom were both only too glad to get started. Last month I shared how we threw such a fun and interactive science-themed party, but a lot of parents working on their shared parenting skills have asked – how did you handle it? 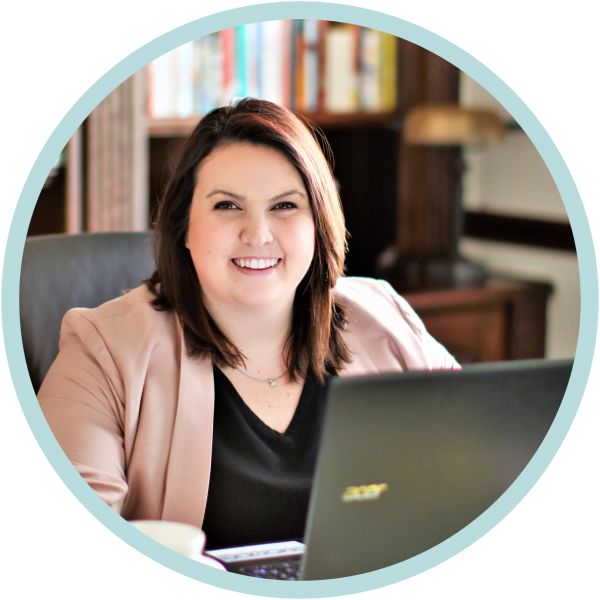 How do you tackle planning an event with your ex or the stepparents without causing conflict? If you’re humming along your co-parenting journey and decide to take the plunge and work on throwing a celebration together, there can be obstacles to overcome along the way. While it may be simple for my daughter’s stepmom and I to work on an event or party together because we’re already really great friends now, we know it isn’t always that easy for everyone. Here are some simple tips that will help you get everyone working together as a team. Tip #1: Stop stepping on each other’s toes. The #1 thing you need to do is delegate tasks. If you don’t, you’ll just end up stepping on each other’s toes, making each other angry, and creating conflict that could have been avoided. Define each person’s role or tasks to take care of. Who is going to make food? The cake? Checking on the location? Handling decorations? Creating party games? Who is going to create and mail out invites? And don’t forget to delegate party necessities like plates, cups, napkins, serving dishes, etc! Tip #2: Try to agree on things. Can you all agree on a birthday party theme? The best way to get everyone to agree is to include your child in the decision. If parents can’t agree on a party theme, have your child choose. Ask him which he prefers. If the child is too young, which do you think will be easiest to decorate for? Someone’s gonna to have to give. Tip #3: Research and recon. Pinterest is going to be your best friend when it comes to party research! Create a group board for everyone (or at least Mom and Stepmom, if the guys could care less!) to collect ideas. You’ll want to find plenty of decorations, foods, cakes, and party games to get a better idea of what the party will look like. Tip #4: Try to agree on more things. Where will you have the party? If this is going to be a house party, you’ll need to decide which house to have it at. It’s a good idea to go for the house that has the most space, or the one that is closer to potential guests. If you can’t decide on a house, think of another option. Is it warm enough to have it at a park? One of my favorite parties I threw for K in the past was an Enchanted Forest theme at a local park. A bounce house place? Trampoline park? The lake? An arcade? This is another instance where someone is probably going to have to give. You could always ask your child what he prefers. Tip #5: Who invites whom? Whoever you decide is going to handle invites either needs to purchase invitations or design an invite to print out. Make sure you get enough invites for everyone’s family or friends, not just your own. Once the invites are printed and filled out, split the stack and let each side of the family fill out addresses to their own guests. Mail your own invites. Tip #6: Party people need a heads-up. 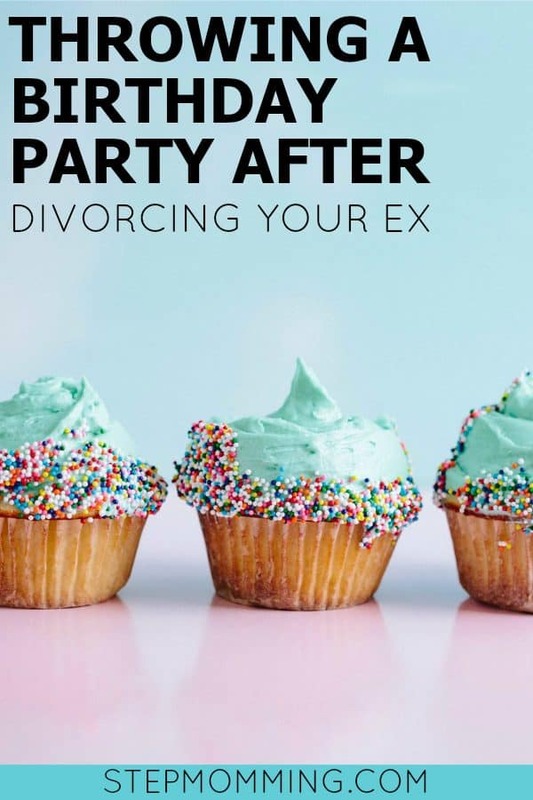 It’s a good idea to let party guests who are familiar with the divorce or separation know beforehand that the party is going to be a joint birthday party. This is especially important if it’s the beginning of your co-parenting journey – it may surprise people. Let them know ahead of time so they aren’t completely caught off guard when they see your ex and his/her new partner in your living room. Tip #7: Work as a team. Make sure all the parents arrive at the party location early to set up! You’re a team, and it’s time to act like it. Whatever you were in charge of on the list of delegated tasks, it’s your responsibility to bring the day of. Help each other set everything up. And remember – this is all for your baby! He or she is going to love how you all worked together to make it amazing. Teamwork makes the dream work, baby! Tip #8: If you’re a parent, you’re a host. Be great hosts. Even if the party is hosted at Dad’s house, all parents are party hosts – Mom, Stepmom, Dad, and Stepdad. Make sure everyone knows the party agenda, and what needs to happen when. If you want, you could even keep things delegated. Maybe Dad and Stepdad love to have fun and would enjoy overseeing the party games best. Maybe Mom is the baker and wants to keep the snacks refilled. Stepmom might want to take charge of decorations and staying in contact with the party entertainment. Just have fun with it! Tip #9: Enjoy the time together and with your kid. Don’t forget to capture the moments! Someone (or everyone!) needs to take pictures (preferably the person who is most creatively inclined). Not only will you want to remember your child’s birthday and how much fun everyone had, but you’ll also never want to forget your first joint birthday party and what a success it turned out to be! None of the parents want to handle pictures? Then ask a friend or family member attending the party to take photos for you. Tip #10: Don’t be a Petty Patty. If one of the other parents offends you in any way, feel free to let them know how it made you feel and ask them to stop. Don’t be petty and stoop to their level just to get them back. Let things go, be the bigger person – you know the drill. One of the greatest assets in my experience as a co-parent is the ability to look at things logically instead of emotionally. Remove yourself from the situation (emotionally) and look at it from a logical perspective. Will whatever they just said or did affect you in a week? A year? Five years? If the answer is no, then it isn’t worth the energy to get upset over. If you have any other joint party tips you’d like to share, please comment below!